How Does Snowmobiling Compare Now to Back in the Day? The snowmobile industry’s main support group, the International Snowmobile Manufacturers Association, based in Haslett, Mich., represents the four snowmobile manufacturers and keeps tabs on sales, tracks the average snowmobiler, modern snowmobiling trends and tries to stay atop potential challenges to the sport. The industry’s overseer reports that in 2015 more than 150,000 sleds were sold worldwide. Two-thirds of those sales went into a North American market comprised of 1.8 million registered snowmobilers, resulting in an estimated economic impact of $26 billion in the United States and $8 billion in Canada. ISMA reports that the snowmobile industry directly or indirectly generates more than 100,000 full time jobs in North America. At the mid-decade mark, snowmobiling appears quite healthy as four key snowmobile makers squabble over that 150,000-plus annual sled sales. The usual suspects in the modern snowmobiling scenario are Arctic Cat, Polaris, Ski-Doo and Yamaha. Each company has been in the industry nearly 50 years or more. 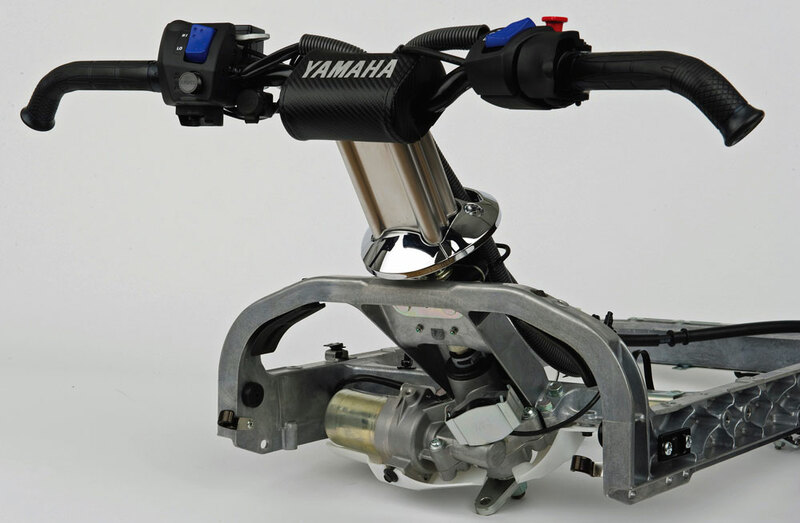 Yamaha entered the action in 1968. Polaris pioneered snow travel back in the mid-1950s. Ski-Doo created light-footed snowmobiling as early as 1959 and Arctic Cat, which was founded by Polaris founder Edgar Hetteen, produced sleds out of Thief River Falls, Minn. in the early 1960s. 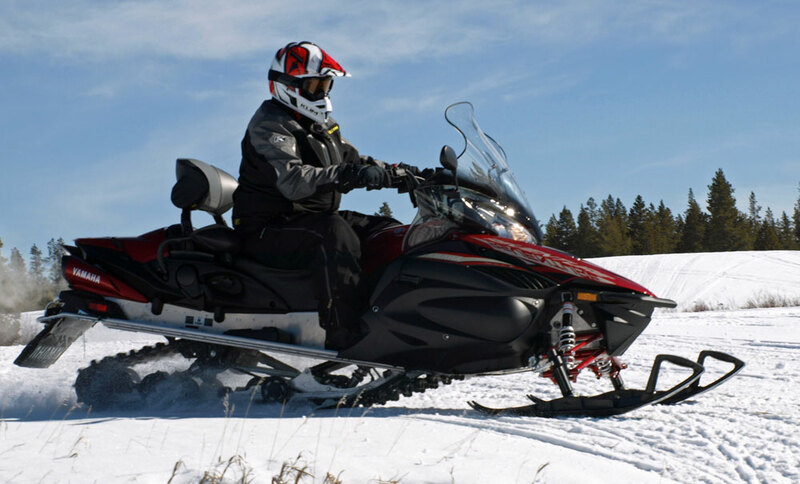 Now that we have more than 200,000 miles of groomed trails, we can truly appreciate the creature comforts common to modern touring sleds like Yamaha’s Venture. ISMA indicates that the average snowmobiler is male and 44 years old. That age holds as back in the day, in the mid to late 1970s, the average snowmobile buyer was 43 years of age. About 85 percent of snowmobilers were married, which would be higher than today when in 1994 one demographic profile claimed only 68 percent of snowmobilers were married. Compared to modern census statistics, that’s pretty good, as in 2010 married couples accounted for only 48 percent of American households. That early married data of snowmobilers from the 1970s proved better than the 78 percent of the US population that indicated being married back in 1950. Back in the early 1970s, once snowmobilers discovered the superior ride of Arctic Cat’s slide suspension, market leader Ski-Doo saw its market share fall. Keeping a spouse seems easier for snowmobilers than keeping a snowmobile club membership. In 1976 data indicated that 55.3 percent of one snowmobile publication’s readers belonged to a snowmobile club. But almost 84 percent of those same readers acknowledged there was a local club they could join. Just three years later, that number of club membership had declined to 24.7 percent! Industry insiders suggest that number has held steady as it is estimated that fewer than 25 percent of all registered snowmobilers belong to a snowmobile club. ISMA reports the existence of more than 3,000 snowmobile clubs worldwide with 42 registered non-profit associations representing snowmobilers in North America and Scandinavia. With this reported low priority that most snowmobilers have for joining clubs, it makes you wonder just how those 225,000 miles of groomed and marked trails and more than three million dollars in annual charitable donations got done. 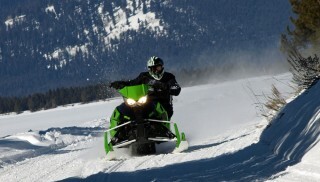 Improvements for snowmobiling come in many facets and include things like electric power steering, which enables riders to manage long days in the saddle. Another readership survey done in the late 1960s through the early 1970s indicated that 85 percent of readers used their sleds on private property with less than 30 percent riding on snowmobile-specific facilities. Back in the day upwards of 75 percent of snowmobile riding was done from the backyard. 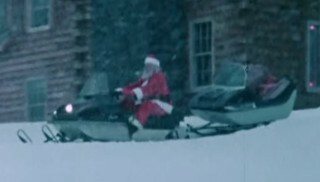 Today only 47 percent of snowmobilers reportedly use their sleds from a primary or vacation home. That means that 53 percent of today’s riders trailer their sleds as compared to 20 percent back in 1976. Of course, back then we didn’t have the trail systems and destination areas that cater to snowmobilers like they do now. Ski-Doo pioneered the industry with “light-footed” snowmobiles and claimed more than a 40 percent market share in the early 1970s, which ebbed until the introduction of the REV. 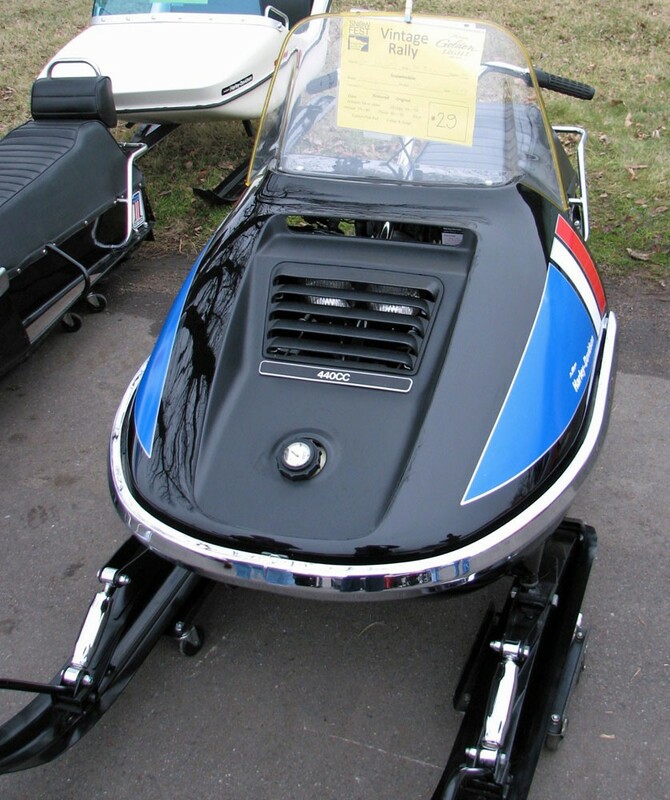 Even back then, the TNT was a top selling Ski-Doo model just as it is in modern times. 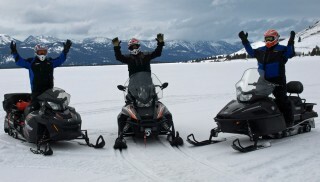 We couldn’t help but notice why snowmobile manufacturers place such emphasis on “Early Season” buy-in programs. Obviously, such programs provide key indicators of what sleds will be most popular and allow the sled makers the ability to better forecast manufacturing. Such sale periods also add cash to the corporate coffers, which isn’t as critical as it was when the four sled makers only made snowmobiles and weren’t diversified with motorcycles, boats, ATVs and such. Proof for the need of such programs lies in the fact that October, November and December accounted for nearly 60 percent of sales through the decade of the 1970s. Contrast that same period with the horribly weak March and April timeframe where fewer than four percent of a manufacturer’s sales were made. Of course, looking back at the old days is all relative. Today four snowmobile companies retail slightly more than 150,000 units worldwide. Back in the day, say 1969, dozens of sled makers accounted for 255,000 units at retail. 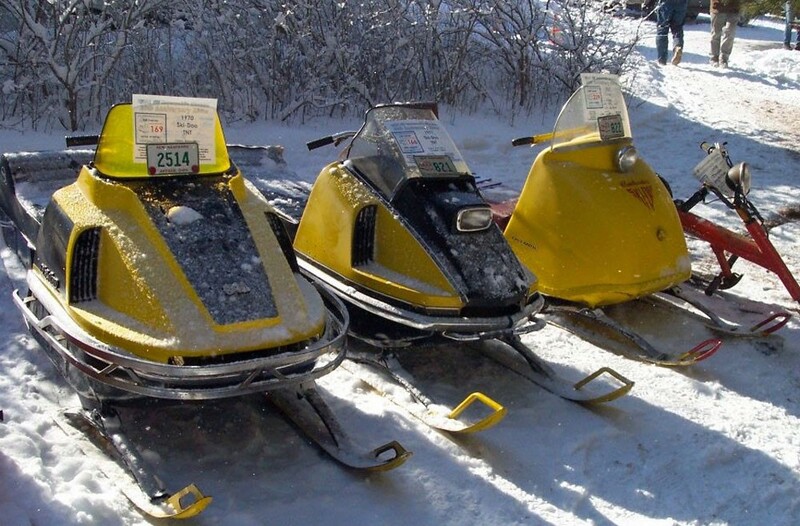 Two years later in 1971 the number of sleds sold spiked to nearly a half million (495,000), a number that fell steadily through 1992 when sales numbers hit 150,000, matching those of today. 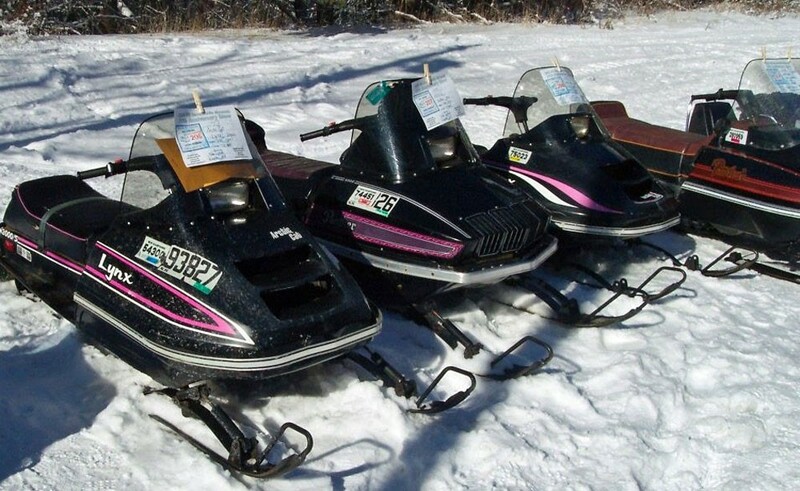 There was a brief rebound up to 1997 when sled sales hit 260,000 units before declining again. In the 1970s when there were nearly 500,000 sleds sold per season, there were many brands to choose from, such as Harley-Davidson. All things considered, we are better off today and this writer, for one, does not miss the old days at all. We remain perplexed at the lack of interest in club membership and the need to support those who keep the trails open and fight the never-ending battles against bureaucrats and the anti-gas and oil types who seem opposed to anyone enjoying themselves on a powered machine. But we prefer the modern technologies of four-strokes, direct injection two-strokes, electronic fuel injection, push button reverse and such things. We really prefer the ability to ride a snowmobile of modern or “back in the day” vintage on well groomed, signed and maintained trail systems that simply didn’t exist back then. As snowmobilers we may not have increased our average age and we still may be responsibly married with kids and our home, but we are consistent in relating to our sport. So, at mid-decade we can report that while some things in the sport change, snowmobilers seem to have stayed the same as back in the day, meaning that all things considered, we’re doing pretty well compared to past snowmobile generations.